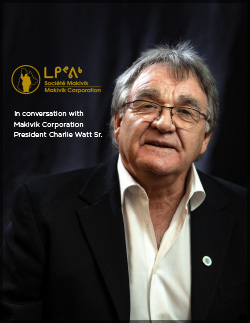 In conversation with Makivik Corporation President Charlie Watt Sr.
For an individual who has done so much for so many, Charlie Watt Sr. does not welcome the spotlight on himself. Despite his outstanding contributions to the Inuit community and achievements in Canadian politics, Watt is not wired to think in terms of his accomplishments. In fact, he says he’s still got a long way to go. In the early 70s, Watt was behind the formation of the Northern Quebec Inuit Association (NQIA)—the organization that negotiated the James Bay and Northern Quebec Agreement (JBNQA) on behalf of the Inuit of Nunavik. 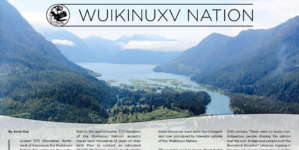 The JBNQA was the first major agreement between the Crown and the Indigenous people in Canada since the numbered treaties of the 19th and early 20th centuries. 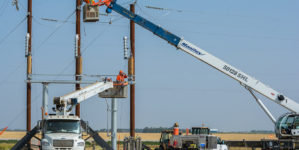 “Potential interest from the outside world was mounting on us, so we had no choice but to make a move and create an instrument recognized by law. The NQIA represented 11 different communities,” says Watt. Watt says the court case arguing on the question of Inuit rights received a lot of attention. Following the Court of Appeals decision and two years of negotiations, the JBNQA was signed. The NQIA was the predecessor for the Makivik Corporation, created to be a voice of the Inuit of Nunavik “in order to uphold the constitutionally protected rights of all Nunavimmiut.” Makivik works within the Nunavik region with the main organizations created as a result of the JBNQA, with the government of Quebec, and the government of Canada, as well as with fellow Inuit from across Inuit Nunangat—the Inuit homeland—as part of the national Inuit political process, formally represented by Inuit Tapiriit Kanatami (ITK). At the circumpolar level Makivik is a member of the Inuit Circumpolar Council (ICC). 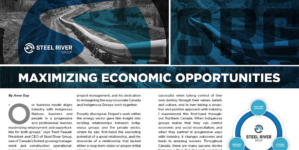 As the land claims organization, Makivik’s role includes the administration and investment of these funds and the promotion of economic growth by providing assistance for the creation of Inuit-operated businesses in Nunavik. Makivik promotes the preservation of Inuit culture and language as well as the health, welfare, relief of poverty, and education of Inuit in the communities. 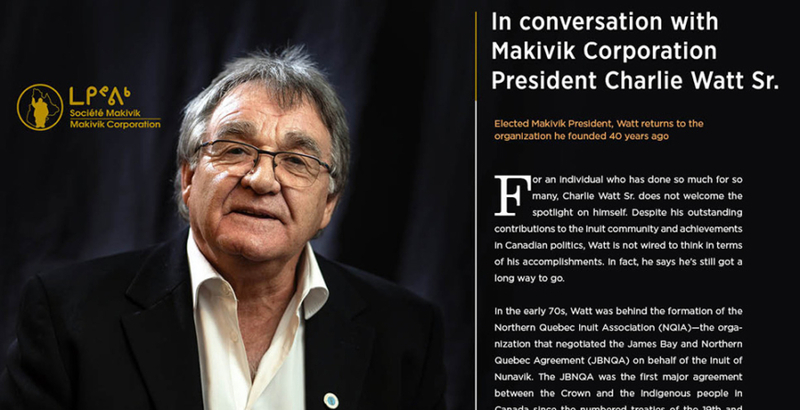 In a full circle moment, in the January 18, 2018 elections, Watt was elected as President of Makivik, returning to the organization he founded 40 years ago. Charlie Watt was also Makivik President in the late 1980s and early 1990s – a time when Makivik purchased First Air as part of its portfolio of subsidiary companies, expanding its aviation expertise, which began with the creation of Air Inuit at the time of Makivik’s foundation. 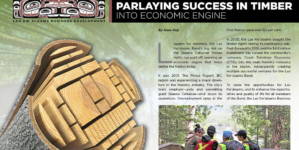 Continuing on this success, Makivik also wholly owns Nunavik Furs, Halutik Enterprises, Nunavik Geomatics, Kautaq Construction, in addition to Joint Ventures, such as NEAS and Tarquti Energy, and a successful shrimp fishery. 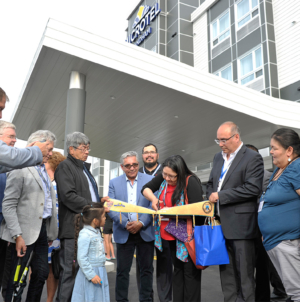 Makivik Corporation continues to work on behalf of Inuit Beneficiaries of the James Bay and Northern Québec Agreement, who live in 14 communities in Nunavik, Chisasibi, and Montréal. 2017 was an historic year for Makivik as they created Nuvviti Development Corporation to oversee our subsidiary companies, and Tarquti Energy Corporation with the FNCQ to develop renewable energy projects in the Nunavik Region. Watt was also a Canadian Senator, having been appointed to the Red Chamber by Pierre Elliott Trudeau on January 16, 1984. Following his election to Makivik Corporation he resigned from the Senate. Watt is also an Officer of the National Order of Quebec (1994), recipient of the National Aboriginal Achievement Award (1997), and numerous other honours. In terms of his achievements in the Senate? Watt is again disinclined to focus on himself. He agrees that during his tenure there was a lot of headway made in elevating the needs of Aboriginal communities and how the Canadian government and First Nations communicate and negotiate with one another. “I think we made a huge achievement influencing the liberal government,” says Watt. “And there is a lot more work to be done…and that’s one of the reasons I stepped down from the Senate, because I could push harder from the outside.” Watt would like to help Inuit communities begin the path to self-determination, following their own regional law.